TEITO ~ The protagonist and his story. TITLE ~ Why Piece of Heaven ? 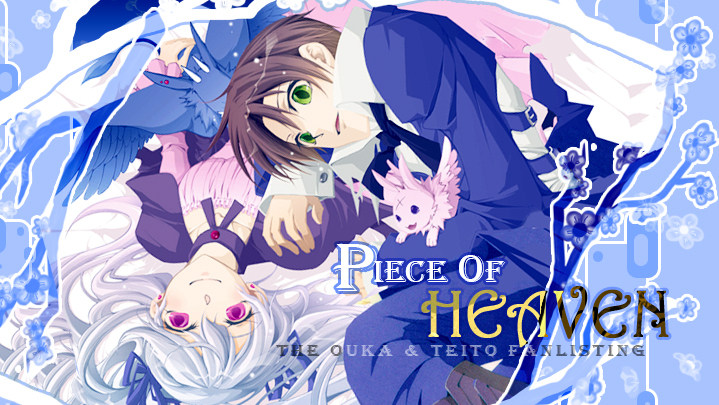 IMAGES ~ Teito & Ouka's Gallery ! ICONS ~ Avatars to use! SIGNATURES ~ Banners to use. AFFILIATES ~ Partners in crime. 07-Ghost is the property of Amemiya Yuki & Ichihara Yukino, all rights reserved. This is a fan-site and I don't intende to violate them.